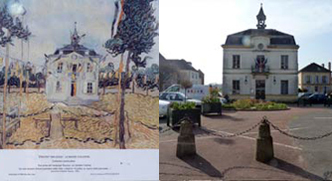 I live in Val d'Oise near Auvers sur Oise where Van Gogh, Cézanne, Pissarro, Daubigny and others were inspired to paint this beautiful area. 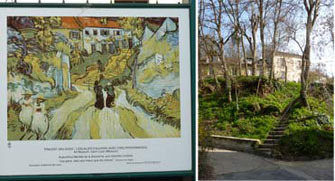 I am always curious about how the locations painted by famous artists look like today. Whenever possible, I visit these places and photograph the present day scene. I would like to share some of these photographs with you. 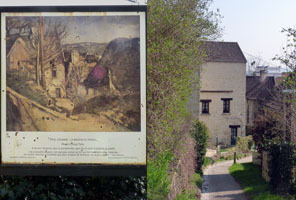 I visit Giverny often as it is only 65 kilometres from my home. 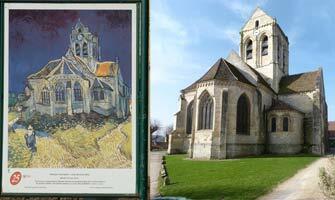 I will post from time to time photographs of the artist's work and the location as it is today. If you want click on the photo to see an enlarged version, hope you'll like it.